A £50 damage bond is also required which will be refundable upon check out and key return once checks have been satisfied. Funworks complex Passes are not included with the price. bed linen sheets and pillowcases are not included, ( but we do supply the quilts and pillows and mattress protectors ). Gas and electric is included with the price. Hello and welcome to our home from home . A LUXURY lakefront prestige grade, 3 bedroom 8 berth caravan with a gated balcony over looking the lake with a fantastic view. Perfect for relaxing watching the swans and ducks. Sited in a lovely quiet private spot of Lakefield around a 5 minute walk from the main complex and its abundance of facilities on this beautiful haven holiday park at Haggerston castle. Fully central heated, double glazed, en suite to master bedroom, stand alone furniture, patio doors leading to gated balcony overlooking the lake, great view, balcony has table and chairs, there is wall mounted TV and DVD in the front main living area with freeview. There is also Freeview / DVD in each of the 3 bedrooms, the kitchen is well equipped, also included is an iron, ironing board, Hoover, as well as travel cot, high chair/seat. This caravan also benefits from a picnic bench and barbecue on the patio area. Short breaks available: Mon to Fri (4 nights), or a weekend Fri to Mon (3 nights). Full weeks also available Fri to Fri or Mon to Mon (7 nights). A very enjoyable stay here with my family, 17 year old, 13 year old and 2 year old. Caravan was excellent and in quiet area next to pond with lots of ducks which my 2 year old had great fun feeding several times a day. As first time visitors, will definitely be back to Craig and Claire's Caravan as we had a fantastic stay. My cousin and I stayed at this caravan for a short break. We are both in our 40's with grown up children so just wanted some peaceful time away to explore the local area. The caravan was set on a perfect lakeside spot in a quiet area of the park well away from the Haven complex, and there was no through traffic.There was no noise at night and we could not hear the music from the entertainment complex. 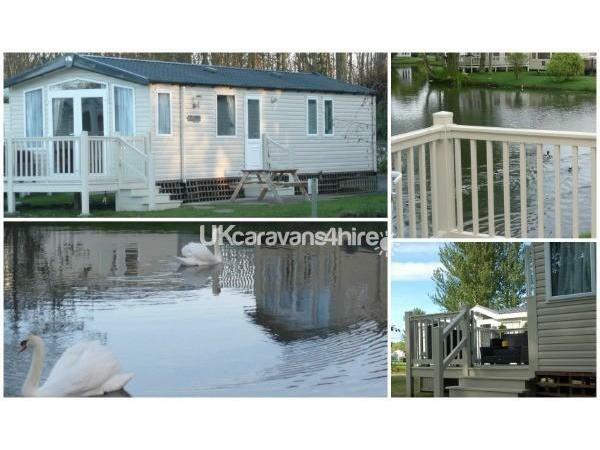 The caravan has patio doors overlooking the lake and it was a pleasure to be greeted by ducks and swans each morning.There is a fully fenced off balcony so it is safe for young children. 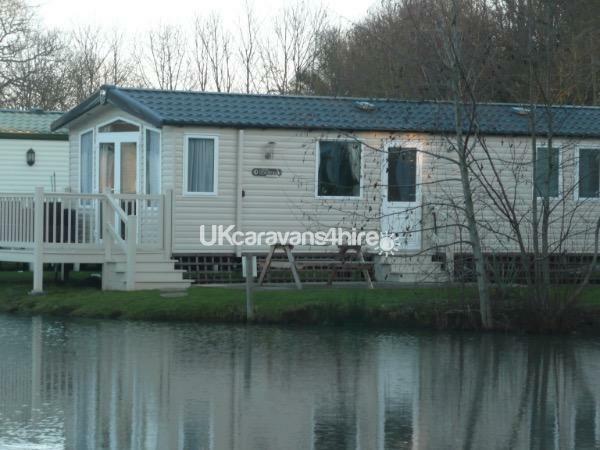 The caravan owners are easy to contact and are polite and helpful. We did not purchase Haven passes but we were able to gain access to the Mash & Barrel restaurant one evening for a meal. The only thing this caravan lacks is an electric kettle and toaster. Boiling the water in a kettle on the gas hob wasn't a problem, but we tried toasting bread on the grill (which we pre-heated) but even after 10 minutes the bread didn't brown. We had a lovely break and would definitely return. The location of this caravan alone will make you want to stay again! First time we have dealt with Liz and Colin but it won't be the last..A pleasure to deal with from the start with nothing being a problem.The caravan was absolutely immaculate to the point where we thought we were the first people ever to stay in it..Equipped to a high standard and situated in a quiet corner of the site but with in a 5 minute stroll to the complex with all its attractions. Thanks again Liz and Colin,keep up the excellent work and we will be back ..Allison and Les. Another excellent stay in one of liz's caravan's.this time we stayed in the Bordeaux(chaminox last year)and as usual the caravan was cleaned to a very high standard.absoultely love heading down to haggerston knowing we will be staying in one of liz's amazing caravans.thank you Liz and your husband for another excellent stay.highly recommend hiring from Liz and will definitely be back again this year. This was our second stay at Liz's caravan. Again we had a great weekend. Kids loved it once again. Caravan was spotless. We even got to sit on the decking this time as the weather was warmer than the last time we visited. It was so good that we booked up with Liz and will be returning in 4 weeks time. Had a lovely weekend here. The caravan was the best I had ever stayed in and I have holidayed in a lot of private caravans at Haggerston Castle. The location was excellent and only a 5 minute walk to the complex. The caravan was so well maintained throughout. It had everything you need for a comfortable home to home environment. My kids loved the situation on the lakeside as they were able to feed the ducks and even Liz the owner left us bread for the kids to feed the ducks on arrival. I loved it so much that I am going back to this caravan in July for another weekend and probably finish off the season with yet another one in October I'm sure. All the bedrooms had TV/DVDs which the kids loved. Keep up the good work!!! 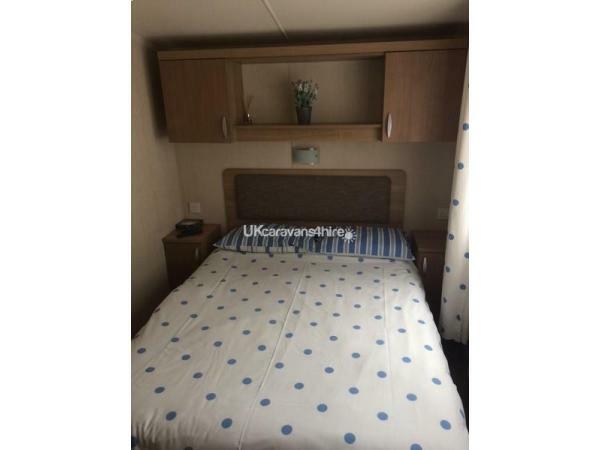 We booked this caravan on line and we can honestly say its been the best caravan we have stayed in, it was spotless and I would recommend this to anyone looking for the comforts of being at home, thanks again to Liz for all her help on making the booking hassle free. 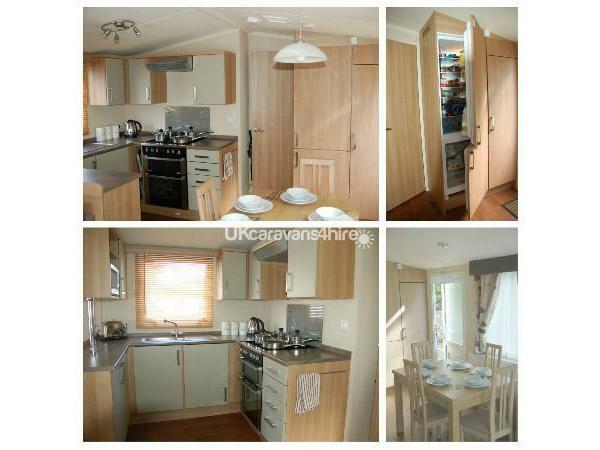 Caravan was immaculate, spacious and in a fantastic location within the holiday park. Situated right next to the lake with a great deck at the front where you could sit and chill out. Check in and check out was simple, hassle free and owner was very helpful throughout. Caravan was well kitted out with modern TVs and blue ray/dvd players in all the rooms although we forgot to take a hair dryer so one at the caravan would have been helpful but that's being really picky. Fantastic holiday and we'd go back in a minute. Also got to see the owner's other caravan and it was superb too. We booked Monday Friday attention to detail was excellent very family friendly, hygiene and cleanliness was to a high standard. located in a very quite and peaceful part of the site with the lake at your front door which my kids loved to sit with there fishing nets. 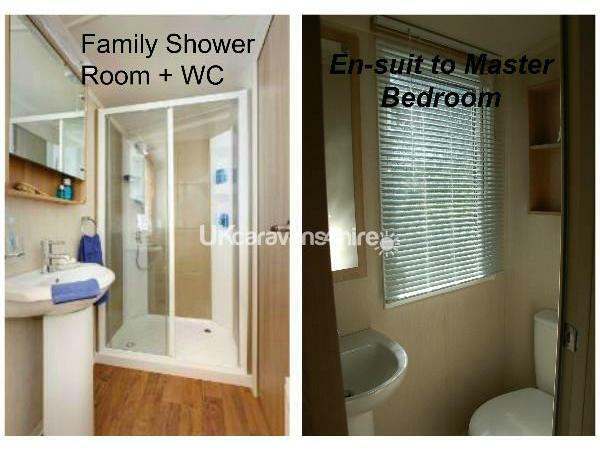 The owners really have thought of everything to ensure you enjoy your stay in there caravan. I would only use this caravan when I booked haggerston castle. no other will do highly recommend this caravan. thank you to you both me and my family and a excellent time. we used this caravan from sunday to Monday we could not have asked for anything better attention to detail was excellent van was lovely and clean to a high standard television in every room with build in dvd good for the kids.The area in which the caravan is in so peaceful lovely picnic bench and barbeque for you to use and a lovely verandar to sit and relax and watch the ducks in the lake or have a nice meal I can truly say the owners have thought of everything even wee fish nets for your kids I would only use this caravan. thank you so much we had a fantastic time you have a caravan you should be very proud of.